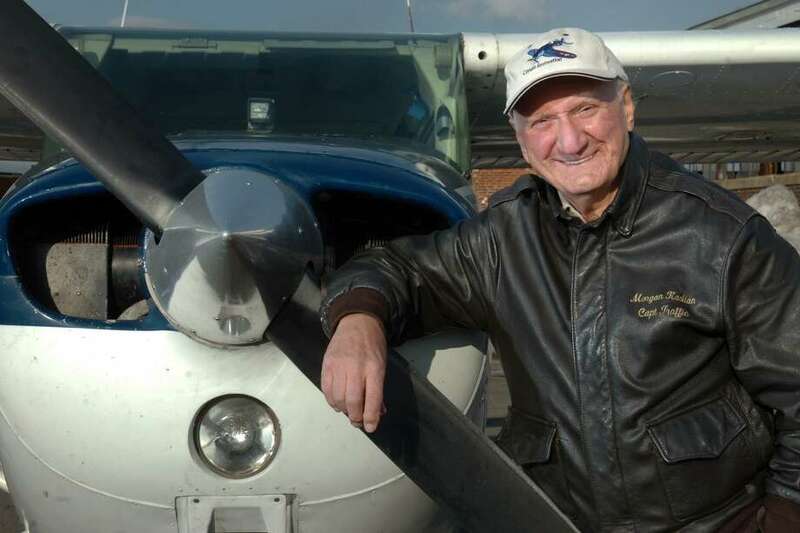 Morgan Kaolian poses next to one of his airplanes at Sikorsky Memorial Airport in Stratford, Jan. 6th, 2011. Kaolian, 90, died Sunday, Jan. 27 at his home in Stratford after a long illness. His rich, varied life included being a longtime traffic reporter for WICC-AM in Bridgeport. According to a 1994 New York Times article, Kaolian, who did his reports from a small plane, was the state’s first airborne traffic observer.